NEW YORK, Jun 9 2014 (IPS) - Six years after the financial crisis, Wall Street’s housing alchemy engine is revving up again – only this time it’s coming for your rental. Right as housing prices bottomed out around January 2012, large institutional investors began buying distressed properties in regions hit hard by the foreclosure crisis; they’ve purchased at least 200,000 to date. In only a year, private equity giant Blackstone Group went from owning no single-family rental properties (SFRs) to being the U.S.’ single largest landlord. Now, several companies, including Blackstone, are packaging their SFRs into bonds similar to the mortgage backed securities that fueled the financial crisis. Like those securities, SFR bonds are backed by homes; but this time rental payments, rather than mortgage payments, pay the interest. Securitisation frees up money, allowing big buyers to purchase more properties with less capital by increasing their leverage – and risk. Issuances thus far are small – less than three billion dollars. But wary housing advocates are pushing regulators to increase supervision. Wall Street’s role as a proprietor is unprecedented, and no one knows what to expect, least of all the families renting the homes. In January, California Congressman Mark Takano called for hearings on the issue, but they have yet to take place. Last October, Deutsche Bank marketed the first ever bond backed by SFRs – 479.1 million dollars in expected rental payments on 3,207 units owned by Invitation Homes. The deal was only a drop in the bucket of 44,000 homes Blackstone owns nationwide. This summer, they aim to package a billion dollars’ worth of units. Collectively over the past three years, large investors have spent an estimated 20 billion dollars on homes. The thought of capturing more of the three-trillion-dollar single-family market has Wall Street frothing at the mouth. Their entrance into the housing market comes amid historic inequality in the U.S., where extracting wealth from the poorest has become normalised. The financialisation of everyday life means that something as commonplace as the landlord banging on your door for rent now involves thousands of investors, thousands of miles away, all urging that landlord to extract greater profits. Because institutional investors can pay more than the asking price – in cash – for multiple properties, they’ve edged out local would-be homeowners and driven up prices in several hot markets. The percent of all-cash buyers has doubled in only a year, to over 40 percent of all home sales. Tight credit for personal mortgages – from the same lenders that liberally dished out dangerous subprime loans before 2008 – has only worsened the picture for renters looking to move into a home of their own. That has resulted in homeownership rates at two-decade lows and rising rents in practically every region. Income, however, is moving in the opposite direction. Between 2000 and 2012, rents rose 12 percent in real dollars; over that same period, the median income of renters fell 13 percent. SFR-backed securities do theoretically open up funding for an expansion of the rental market. 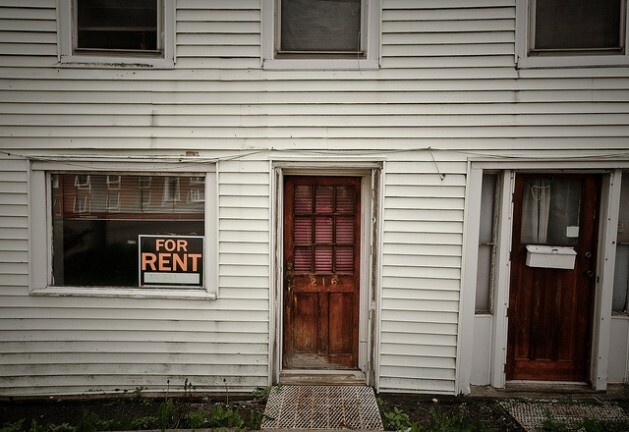 Though there is an immediate need for affordable housing, seeing Wall Street renting out homes that its own malfeasance forced owners to abandon makes for a bitter image. But as SFRs, like seemingly every financial instrument, become increasingly inevitable, housing advocates don’t want regulators to be playing catch up. “The industry doesn’t have much of a track record – it’s important that the industry establishes best practices and that state and local policy makers revisit their landlord-tenant policies,” said Edelman. Issuances are picking up. In April, Colony American homes sold bonds totaling 513 billion dollars. The next month, American Homes 4 Rent, the largest publicly traded single-family landlord, sold 481 million dollars’ worth. More than half of the properties in the American Homes 4 Rent deal were located in Atlanta, Dallas, Las Vegas, Tampa and Phoenix – some of the cities hit hardest when the housing bubble collapsed. Are these securities AAA rated?